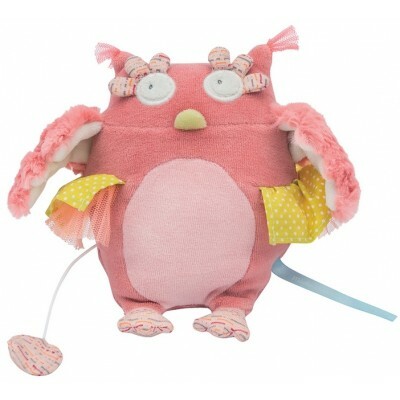 Colourful and exuberant, Madame Owl is the singer. A musical doll all in pink, she wears a yellow dot cotton tutu lined with tulle. Her big eyes watch over her friends in the enchanted wood and her wide wings envelop them in softness. The music is triggered by pulling on the sequinned tab on the side.